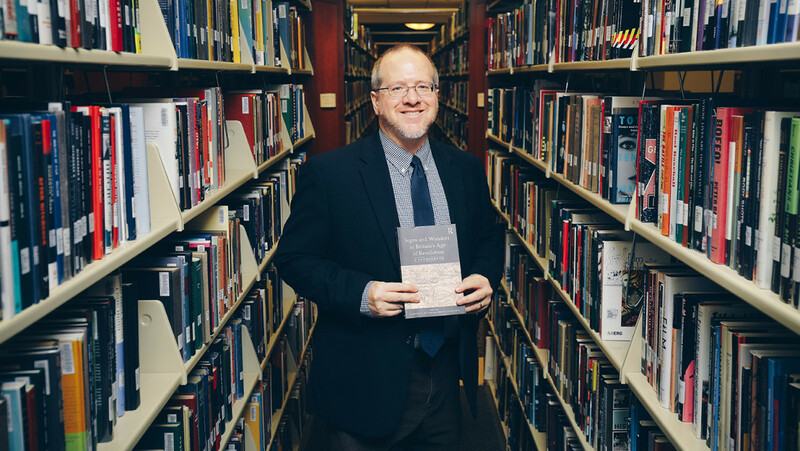 Furman Professor of History Tim Fehler holds the sourcebook he co-authored with Abigail Hartman '17. It was published in December. As an undergraduate, Abigail Hartman ’17 wasn’t even allowed to apply for, much less participate in, the 2016 Sixteenth Century Society & Conference, an annual symposium where the world’s foremost experts on the early modern era converge to share their research. But Furman Professor of History Tim Fehler knew somebody. More importantly, he knew the quality of Hartman’s paper. And just like that, Hartman found herself alongside Fehler inside the Provinciaal Hof (Provincial Palace) in Bruges, Belgium, preparing to present “These Troublesome and Distracted Times: Prodigies, Prognostication and Christian Astrology During the English Revolution.” About 900 people would share their work during the massive three-day conference, and exactly one of them was an undergraduate college student: Hartman. 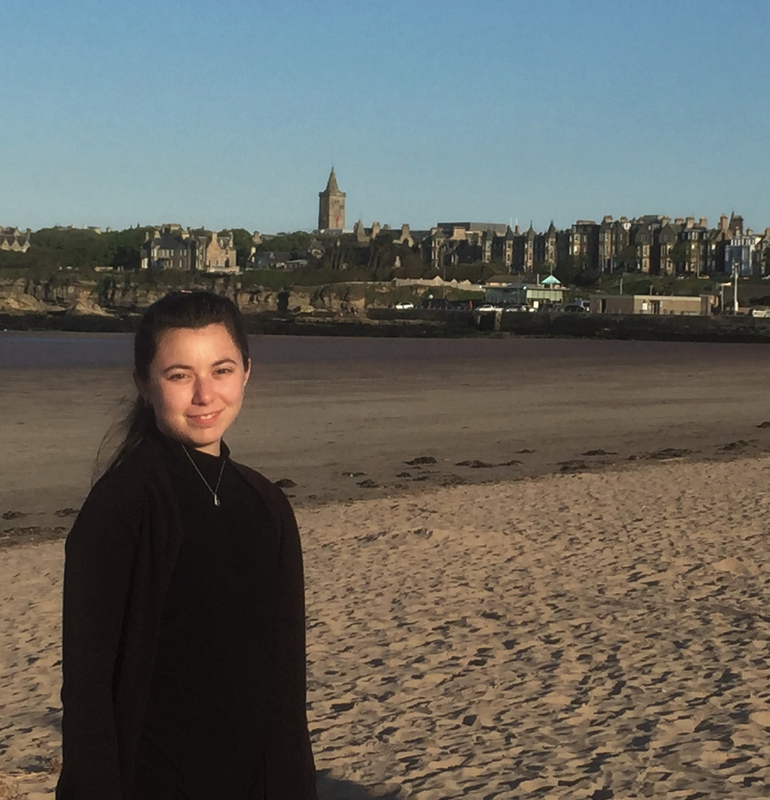 Abigail Hartman ’17 stands in front of the St. Andrews, Scotland, skyline, where she is pursuing her Ph.D. in late medieval history at the University of St. Andrews. Hartman spoke from the University of St. Andrews in St. Andrews, Scotland, where she’s well on her way to becoming one of those established academics as she works on her Ph.D. in late medieval history. Then again, a persuasive argument could be made the Greenville native is already an established academic after the December publication of “Signs and Wonders in Britain’s Age of Revolution: A Sourcebook,” which she co-authored with Fehler. The book pulled together a variety of obscure primary sources, with a unique focus on supernatural tales like fantastical battles in the sky and witches that were commonly shared as fact at the time but often excluded today from historical texts describing events from the period. 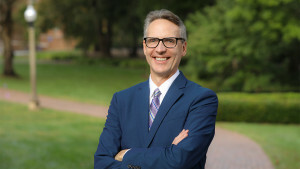 “Signs and Wonders” was the culmination of two summers of research by Hartman under Fehler, the first funded by South Carolina Independent Colleges and Universities and the second by The Furman Advantage, with the bulk of the writing taking place during Hartman’s senior year. “The best parts are written by her, actually. She’s a much better writer than I am,” Fehler, who is already using the sourcebook in his classes, said. 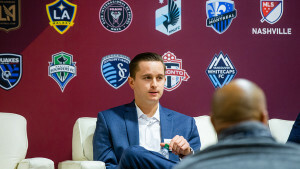 This wasn’t the outcome Fehler expected when he saw promise in Hartman as a freshman and asked if she’d be interested in far less ambitious research exploring whether or not it would be realistic to write a better sourcebook than the one he was using. Eventually. 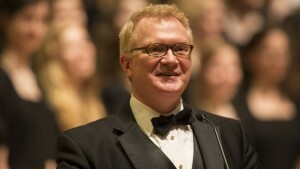 But Hartman’s passion for history couldn’t be contained. Hartman came into Furman intent on participating in undergraduate research, and finding a mentor in Fehler made the experience as fulfilling as she could have imagined. That opportunity to chart her own course while knowing Fehler would never allow her to get lost led Hartman, who unsurprisingly majored in history, to the realization she wanted to be a college professor herself one day. 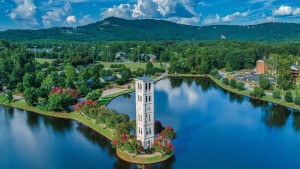 Learn more about the Furman history department here. Last updated March 5, 2019 .